Walk into a Goodwill thrift store and you can pull a like-new items off the shelf. That’s great, but sometimes I’m in the mood for a project. Something I can mend, glue back together or scrub back to life. Something that requires a healthy dose of elbow grease. 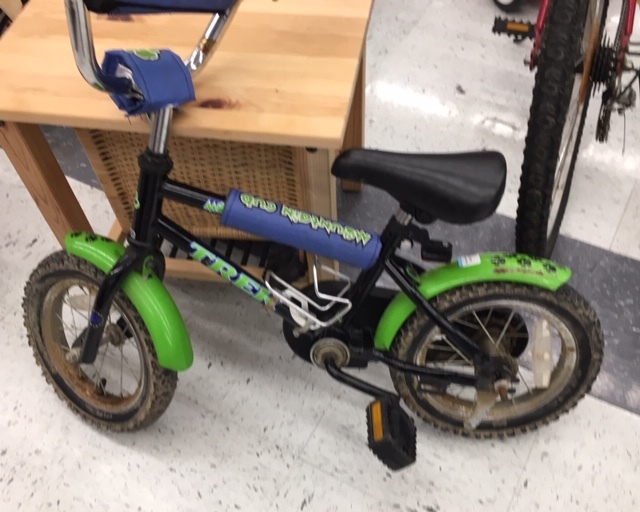 Something like this Trek brand children’s bicycle. 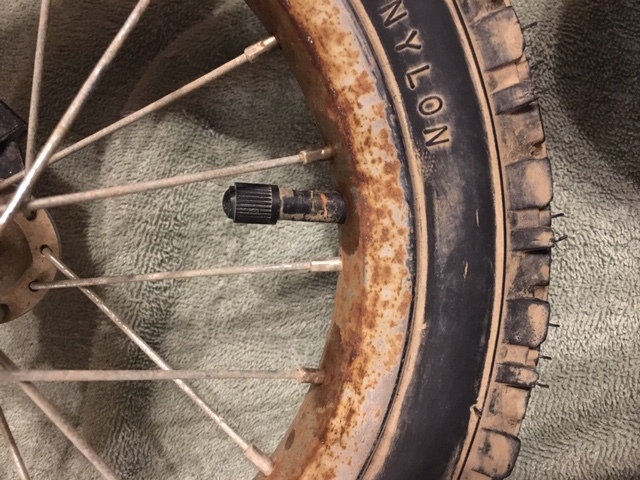 The tires were caked with mud, and the rims were crusted over with rust. However, it was a quality bicycle and priced at a mere $4.99 and worth the gamble. Especially since the current equivalent of this bike would set you back $210! I’ve successfully used Bar Keeper’s Friend in the past, so I thought I’d see what kind of magic I could conjure using nothing more than scouring powder and elbow grease. And boy howdy, did a simple scrubbing do the trick! 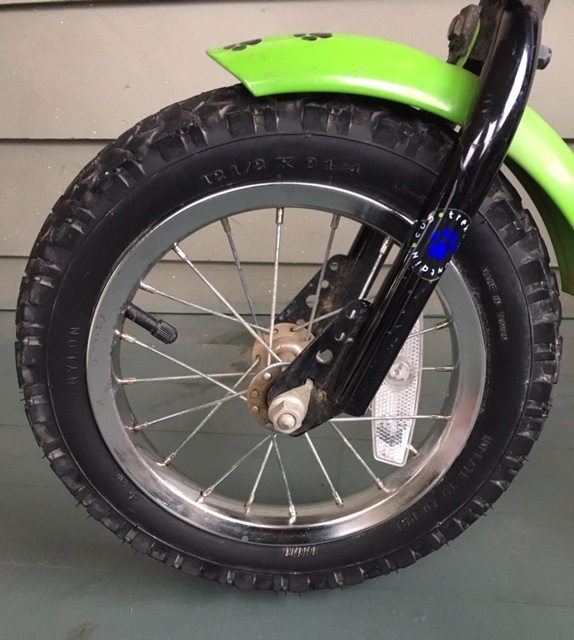 Check out the mirror finish on the rims, as well as the mud-free tires, which came back to life using nothing more than water and a cleaning brush. May I remind you how rusty/crusty/disgusty this bike’s wheels were before I worked my magic? Another Goodwill find brought back to life! Not too shabby for five bucks and 20¢ of Bar Keeper’s Friend. Want to know more about Goodwill Industries of the Columbia Willamette and how they serve our community? 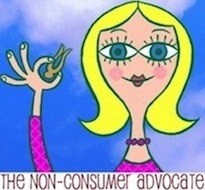 Check out MeetGoodwill.org and ShopGoodwill.com. This post was sponsored by Goodwill Industries of the Columbia Willamette. All opinions my own. WOW! 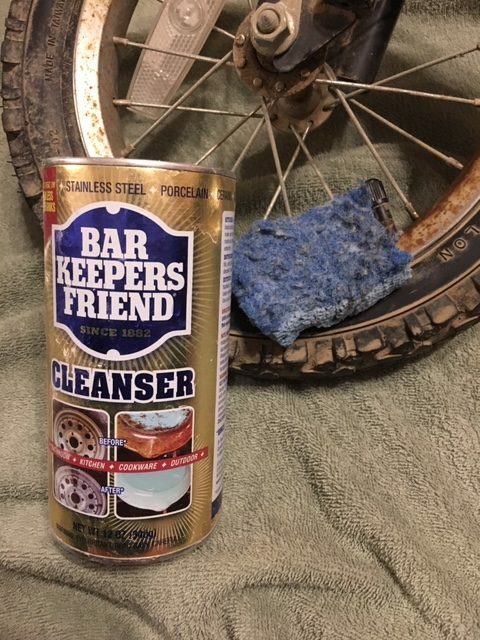 Not only is this a testament to Bar Keepers Friend.. it reminds us that in the USA consumers throw away and give away really awesome goods with LOTS LIFE LEFT IN THEM!!! I am so glad to see recycling in action! Some kiddo is gonna enjoy that gorgeous bike!!!! I volunteer at the Assistance League Thrift Store. It amazes me the NWT clothing and household items people donate. Some of my best gifts come from thrift stores. So impressed. With this gorgeous spring weather that hot little bike is going to sell in a heartbeat. Let us know when and for how much. Curious minds want to know. Bike looks brand new! Can’t wait to see what you sell it for! They are a good brand bike! 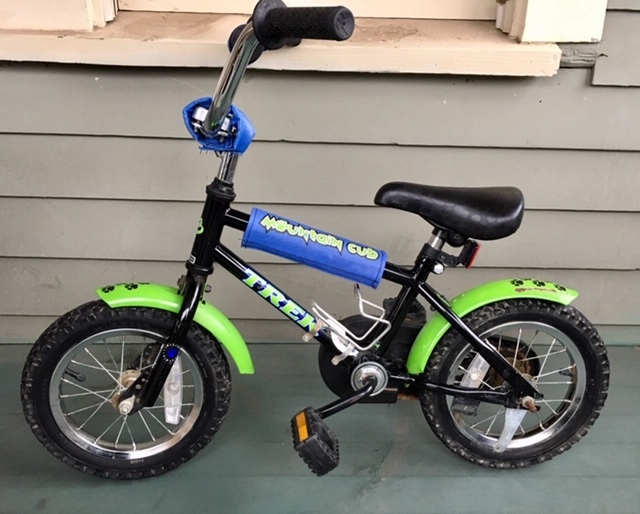 Both my kids and my nephew have a trex bike! So I know they are a bit on the higher price point! Katie, you introduced me to Bar Keeper’s Friend and it is a miracle product! I scrubbed a set of pots and pans to a sparkling clean shine which made me LOVE that set of pans. And this bike renovation is one more shining example of what that product can do. Wow! Impressive. I wonder if it would work on those pesky stove top metal inserts under the burners? I hate to keep buying new inserts when mine get grubby so fast. Great job! I love BKF! Works on everything! Sometimes things are in the thrift store because they have finished their useful life with their current owner. I’m so thankful people donate instead of throwing away. And well done, Katy, for shining that bike up! I’m sure the next owner will be thrilled. I am a new empty nester and I am re-homing many items that have completed their useful service in my house and can happily go on somewhere else. Some things I have given to individuals I know, but some loads just had to go to the thrift store. Great job, this is quite an improvement! This gives me a few ideas of things I can clean. I think this every time you do one of these posts, so I’m finally going to boldly ask. I would love to hear about some of your success stories. What has sold for the most over acquisition cost? The fastest? What finally sold after the longest listing time? Any amazing coincidence stories or tales from someone who finally completed their collection of whats-its with an item you pulled from the bins? Best before and after transitions? I know this shiny bike’s not the only tale you have to tell. I am waiting with bated breath (not bad breath, I hope) to hear more! Thanks, Katy. That looks so awesome, Katy! You’ll have to let us know how much it sells for. (1) I’m with other commenters in hoping for an update when the bike sells. Great job! (2) Bar Keeper’s Friend has been a go-to for DH and me for many years. Its alternative name might be Landlord’s Friend. When I was a kid with a nice bike, I always used automobile wax on it after cleaning. Shiny! A good secret revealed. I will try to do this..! Let us know what it sells for.